Lifelong Resident Washington has it all - mountains, rain forests, deserts, oceans. What's not to like? Does buckg belong in this group? Intersex Female To find friends and maybe something more.? Does rebecar333 belong in this group? Does chutney0331 belong in this group? Some do some don't. Some will some won't. I might! Washington is home because of all the diverse landscape, the 28 wonderful days of perfect sunny weather western Washington receives during the summertime, the snow-capped Cascades, and the passive-aggressive Washingtonians. 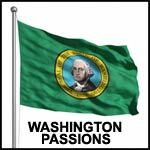 Maybe I can date someone that appreciates all the same things about Washington? Does stashedaway belong in this group?